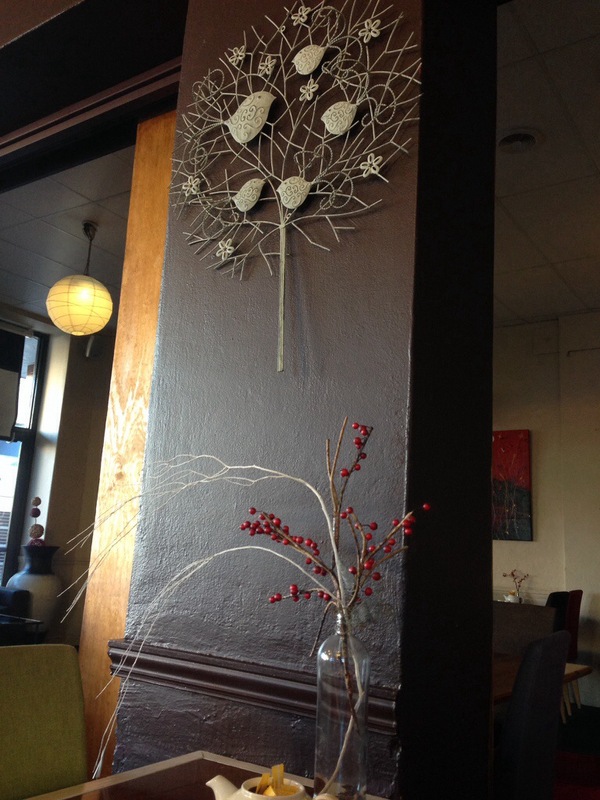 The Little Bird Cafe in Northbridge is home to great food and quirky decor. True to it’s namesake, when you enter you’ll see colourful birds wherever you look. Inside the cafe is open and spacious. 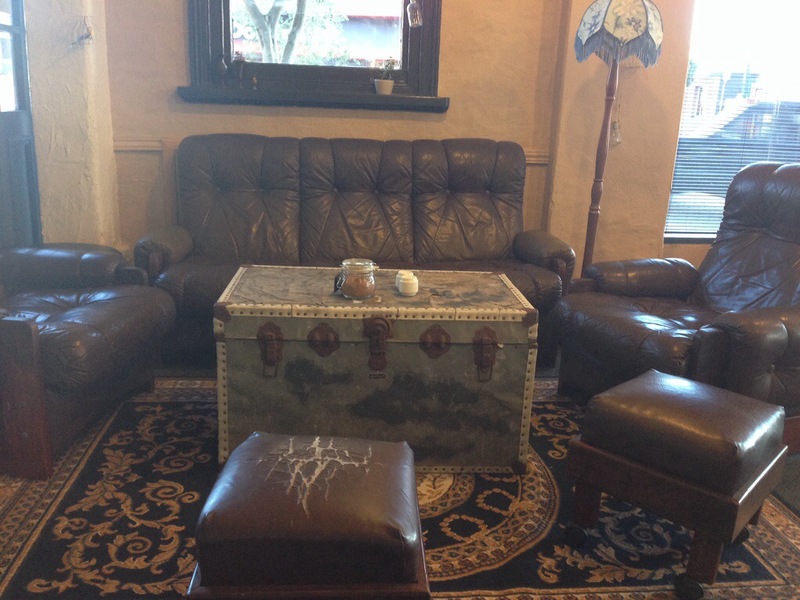 There’s plenty of comfortable and vintage furniture, giving the cafe a relaxing atmosphere. You’ll find the menu on the board at the back of the counter and you place your order there. There are lots of healthy options, including vegetarian and gluten free foods. 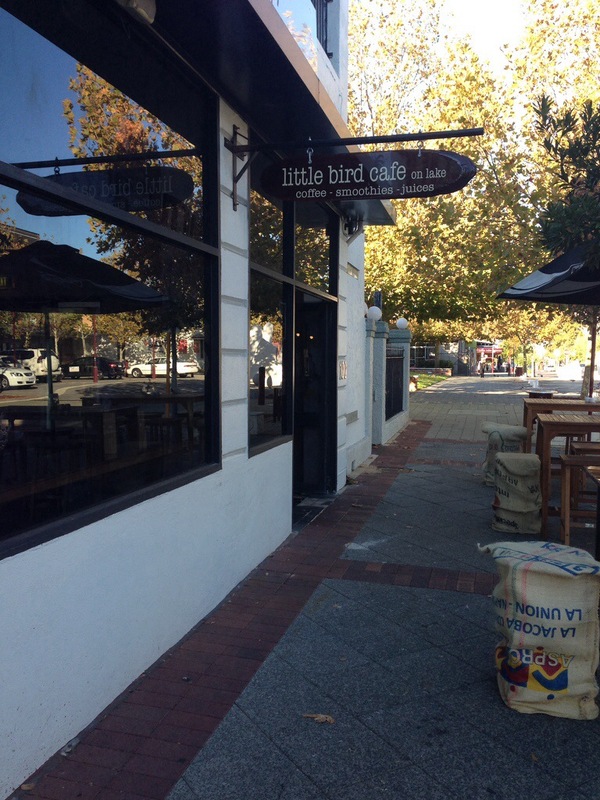 Little Bird have an extensive smoothie range, we were unable to resist and ordered a couple to share. Both the smoothies were expensive at $8 for a small serve in a takeaway cup. 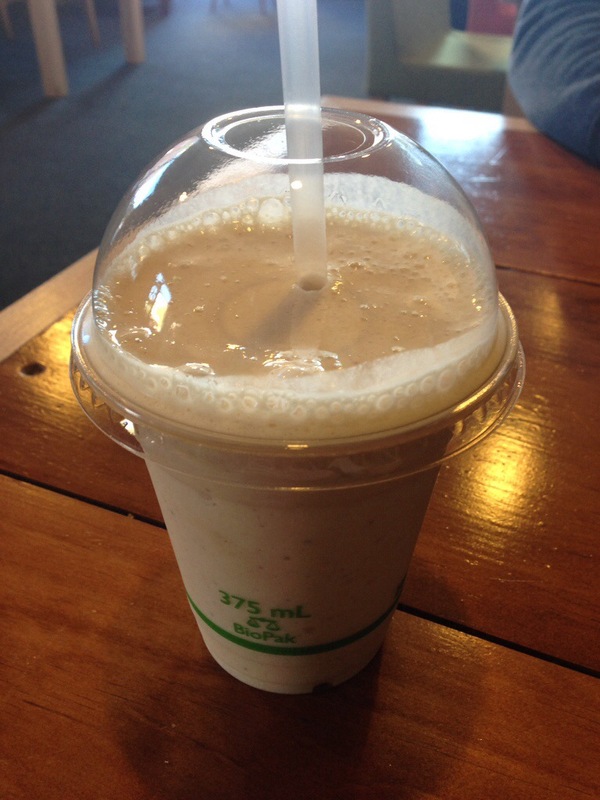 The first to arrive was the banana smoothie with cinnamon and raw honey. It was nice, but not the best we’d had and became a little overpowering. 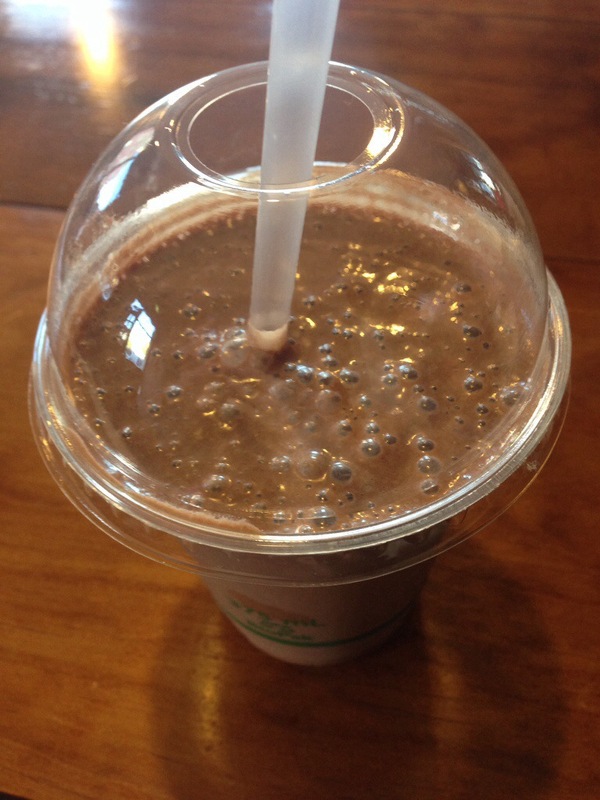 The better of the smoothies was the peanut butter and chocolate. It had a rich chocolate flavour and a delightful nuttiness to it. Not sure that we’d pay the $8 for it again but it was enjoyable nonetheless. 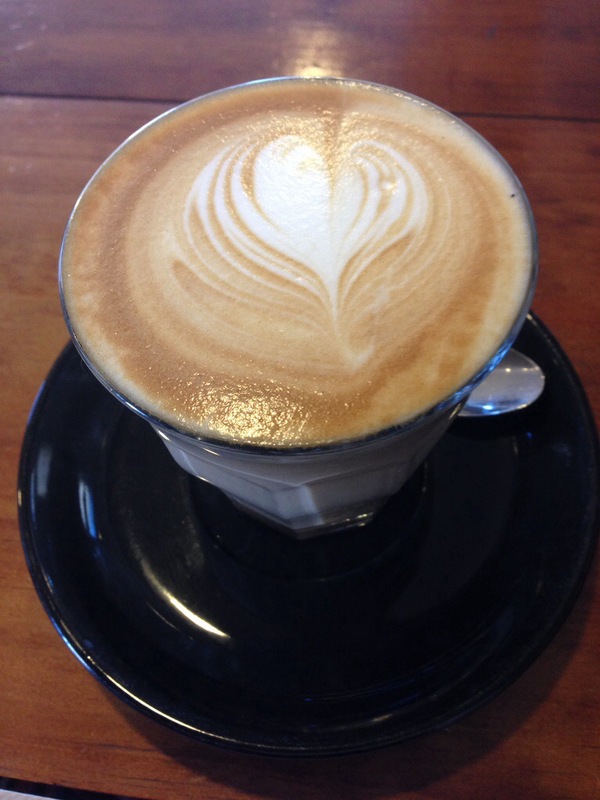 We also ordered coffees and were happy to see they serve Pound coffee, one of our local favourites. The coffee was a good temperature and had an interesting flavour. It was probably a tad over extracted as there was some bitterness present too. 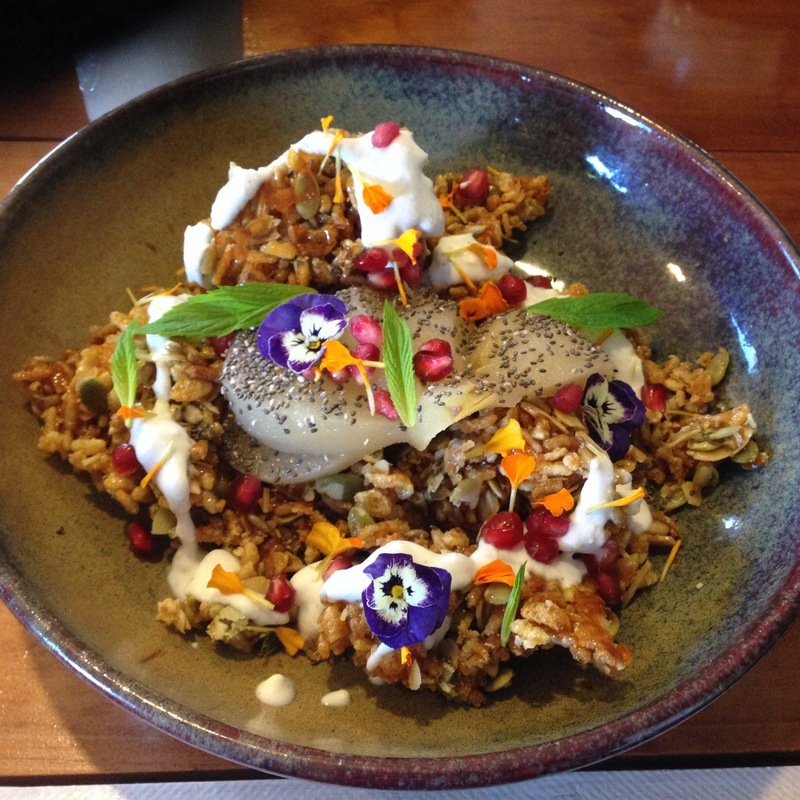 The first of our breakfasts was the granola. It was absolutely gorgeous to look at, so much colour! I absolutely loved that they included pomegranate, it’s one of my favourite fruits in season . The granola had a lot of honey, sticking it all together, as well as a vanilla bean coconut yogurt (or coyo) and came with almond milk to serve. It was quite a sweet breakfast, but it had a touch of tartness to it as well. The flavours were generally well balanced, and there was a good mix of textures, keeping the dish interesting throughout. We would recommend this breakfast wholeheartedly! We also gave the Bird Benedict a try. It had lots of nice flavours and an untraditional hollandaise with a wonderful tangy-ness to it. The bacon was an excellent smoky flavour with a hint of crispness. The bread too had a crispness to it that we enjoyed, but you could also cut through it easily enough with a knife, a practical measure that really effects your impression of the dining experience. Best of all the poached eggs did that wonderful ooze that makes foodies drool with anticipation. 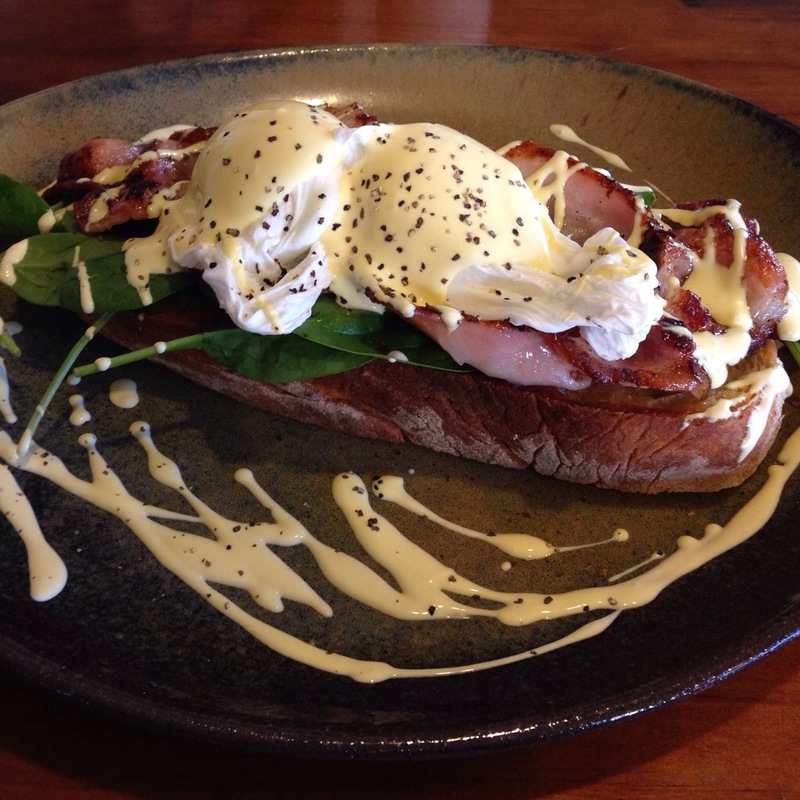 This was one of the better Eggs Benedict’s we’ve had around town and we’d be happy to order it again. We really enjoyed our Little Bird cafe visit. With such beautifully presented food and lovely flavours, not to mention our favourite Pound coffee, it really ticks all the boxes for us. That granola looks a treat!! Great review, I will have to try it out sometime :).